Boy is that a rough way to lose. What an error at the back, and Arsenal will take it all the way to the bank. The pressure was on the the Reds but it didn’t show with a convincing performance. Liverpool controlled the ball, created many more opportunities and always looked like the team that would win on Sunday against Chelsea. It was one of those games that had the feeling of a season-changer, and it very well may be in the end. Settling for a draw here would have shifted City to the strong favorite to win it because the team would have been level with an extra game to be played. And that victory sets City up nicely for what is a big week with two matches against Tottenham. First is on Wednesday in the Champions League quarterfinal (City trails 1-0 after the first leg), and the second is on Saturday at 7:30 a.m. ET at the Etihad. Both matches will air on fuboTV (Try for free). United entered the day five points back of the top four after a rough little patch, and while Saturday wasn’t impressive, they’ll take it. The Red Devils did just enough: United earned two penalty kicks and were fortunate to see an early West Ham goal called off for an iffy offsides call. The win moves the team into fifth place, where it sits just two points behind Chelsea for that final Champions League spot. Cardiff City hasn’t had a good run with referees as of late. They should have drawn Chelsea a couple weeks back but the Blues were awarded a late goal that was clearly offside. And on Saturday, after two handballs again Burnley and a penalty kick was awarded, ref Mike Dean overturned it. That tough 2-0 loss to Burnley was another missed chance for this team to creep closer to safety. Do you know who deserves a lot of credit? Southampton coach Ralph Hasenhuttl. He joined the club in December with the Saints in trouble, and his winning record at 8-5-7 has his team close to being safe. An inspiring 3-1 win over Wolves on Saturday has the Saints sitting pretty at eight points clear. They could lose out and they would probably still avoid relegation, with the former RB Leipzig boss turning his new team around, keeping the team up and likely headed for a new, improved contract. 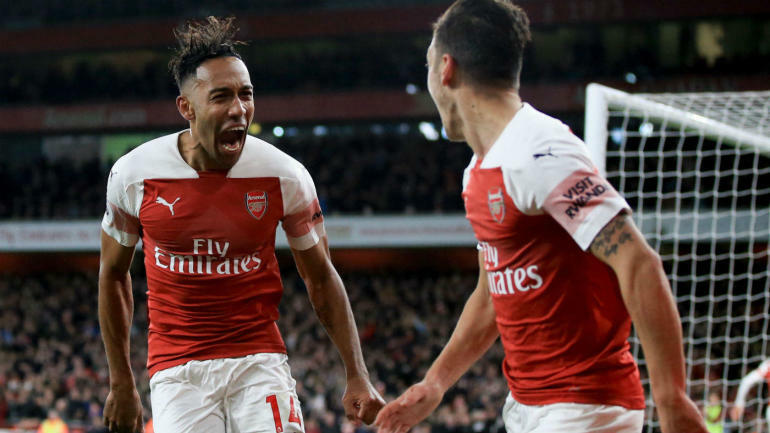 The Gunners are back in the top four, and all eyes shift to second and third with Manchester City hosting Tottenham on Saturday. Cardiff City is still five points back and just five games remain.